I believe in learning and then applying. I try to come up with the optimal solution, however sometimes, I need to meta-analyse if optimal solution is the one that is the best catch that I can be proud of. I think of myself as a devoted learner and performer whose first priority is always to perform as per the expectations. 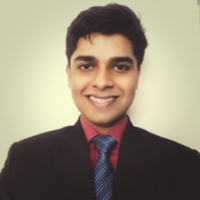 My leisure time is best utilised helping others; it sometimes helps me instead (https://stackoverflow.com/users/5657783/ankit-shubham). Love the concept of open source and won't miss a chance to contribute something. Currently looking for 'the next thing' and hoping that I recognise it before its too late.